Hiring a photo booth for your wedding reception, birthday party or even bar mitzvah can be a great way of capturing memories and encouraging your guests to let their hair down and have a lot of fun! In this article we will guide you through the good, the bad and the ugly of photo booths, helping you to decide if you think hiring one would be appropriate for your event. Silly faces, props and your best friends – what more could you want in a photo? Hiring a photo booth is a great way of encouraging your guests to get a little out of their minds and capture hilarious photos with their friends. Even the most serious of people can get a little crazy when it comes to taking photos in a photo booth. It is like as soon as you pull the curtain aside and step in, you forget that you are a grown up and begin acting like you are eight years old again! Photo booths are often themed or come with a box of props for people to use in their photos. It is amazing just how funny wearing goofy glasses and wacky moustaches can be, when you are posing in the photo booth with your friends. The images you capture will make great souvenirs of the special event, which you can look back on in years to come. We have all been in that situation where you have been holding the perfect pose for a photograph, only for it to chop your heads off, and ruin the picture all together. 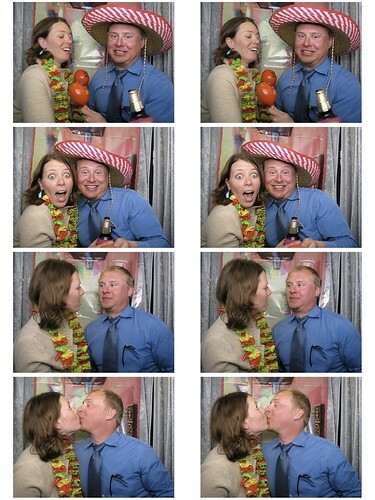 This is very easily done in photo booths. It is even harder to position your face in line with the screen if you have had one too many glasses of champagne, or are trying to cram eight or nine people into one single booth! Photo booths usually take three or four shots in one go, with around four seconds in between, allowing you to change your pose. There is always one person who forgets that another photo is being taken, or cannot think of a unique pose, and ends up looking like the odd one out in the photo. If you want to get four perfect shots you should think about planning your poses whilst you wait in line to use the photo booth. 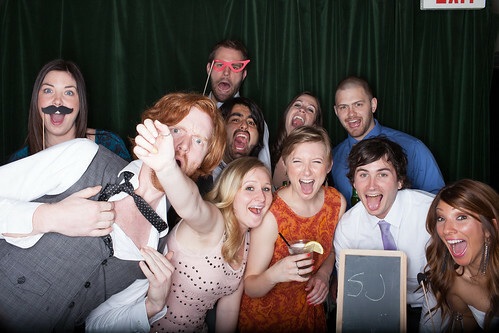 If you are thinking of hiring a photo booth for your event it is worth setting yourself a budget beforehand. Photo booth hire can be expensive so you will want to find a company that charges by the hour and includes the prints within the package, rather than charging per photograph. Agree on your poses to get four perfect photos, or dare to be spontaneous and see how they turn out! In terms of photo booths ‘the ugly’ really refers to the amusing faces that people tend to pull when in front of the screen. As we said before, it does not matter how serious you usually are, as soon as you step into a photo booth you will enter silly mode. The usual ugly faces people pull tend to be cross eyes, poking out tongues, and mouths so wide that you can almost see what they had for breakfast. Yuck! At events many people like to link their photo booths up to large digital screens so that the photos being taken get played in a loop for all of the guests to see. If the ugly face you pulled turned out even worse than you though, you will have to face the embarrassment of it being shown to all of the other guests. Whoops! Although we titled this ‘the good, the bad and the ugly of photo booths’ there really is no downside to hiring a photo booth at your event! Your guests are sure to love it and will be entertained for hours, pulling weird and wacky faces with their friends and family.